I don’t have much of a sense of rhythm; I don’t particularly like dance music. Honestly, I don’t like dancing much at all. Good, now we’ve got that out of the way. My name is Connor Gentry and I am a junior at Hope studying engineering. I am now in my second year as a member of Dream Team, the Dance Marathon planning team, and currently serve as the Finance Chair. My path to Dream Team and a love of Dance Marathon was highly unexpected. As I’ve already said, I am not a great, nor a passionate, dancer. As such, Dance Marathon, before I truly understood what it meant and what we do, sounded terrible to me. Loud music, large crowds, sleep deprivation and lots of dancing: not my ideal weekend. When my friends saw me at Dance Marathon my freshman year (the year I participated as a dancer ironically enough), they were surprised, and they asked me “Why are you dancing? Why are you here?” I had my reasons. I had friends who were doing it. My Nykerk coach, Kierstynn Foster was a Dream Team member (and former patient at Helen DeVos Children’s Hospital) and she had insisted that we participate. And finally, to be perfectly honest, I had a crush on a female friend and she had to be there for her sorority; there are worse places to spend time with the girl you like after all, right? My first DM was some of what I had expected and a lot of what I could never have predicted. Music, crowds, and dancing were indeed all present. Despite this, I actually enjoyed myself. It was a great time of fun with friends and bonding through mutual sleeplessness. I even managed an awkward “Hello!” or moderately clever joke to the girl I liked (I know, smooth, right?). Mixed in with all of this fun were the truly unexpected parts: the family stories. 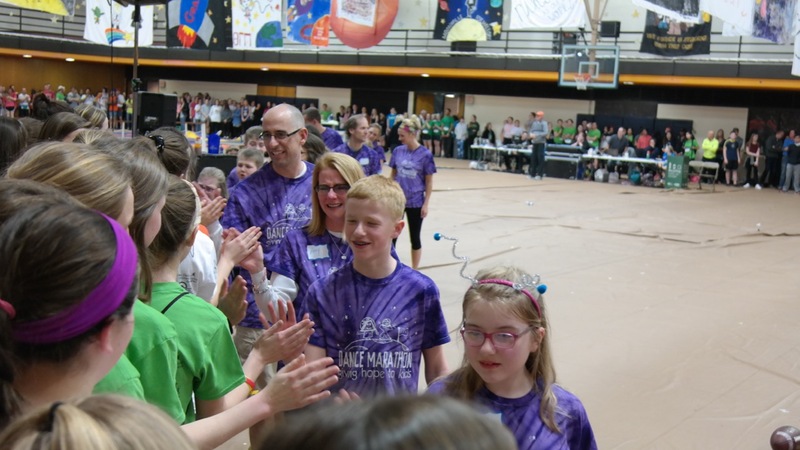 I knew that DM was a fundraiser for a children’s hospital and I knew that some of the families who had gone through treatment at the hospital would be there, but I had not anticipated what their stories would be like and the effect that they would have on me. In addition to not being a great dancer, I am not an outwardly emotional person, but when the families spoke, I was extremely emotional and openly cried at least three tears. I not only saw courage among these kids, but joy. I was impacted by this more than anything; they had fought for so long, against long odds, and had suffered through immense pain and uncertainty, yet they were full of joy and a zest for the lives that they had clung to and now got to embrace. 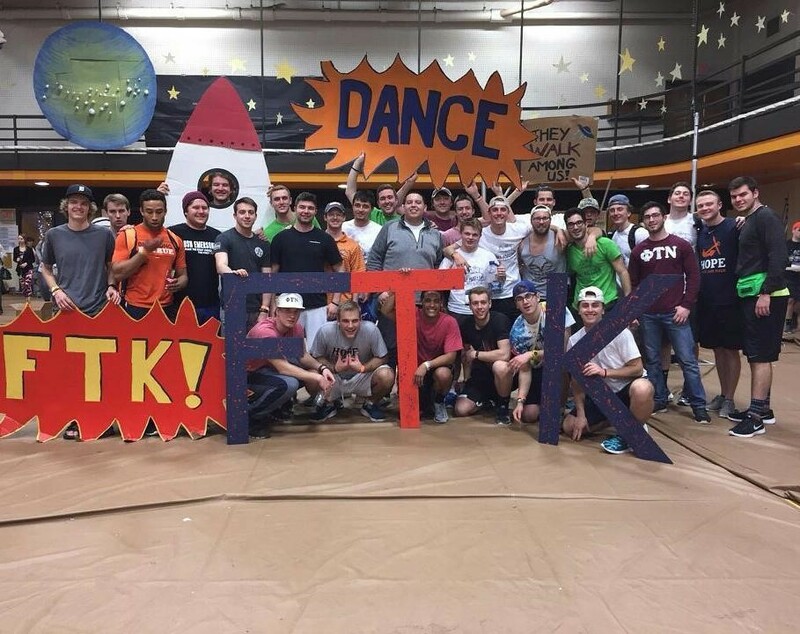 Dance Marathon has been one of the most unexpected joys of my college career. Among everything that I have had the pleasure of doing during my time at Hope, it has by far been the most impactful and perspective-shifting. In an ironic twist of fate, I can truly say that the thing that I am most proud of in my Hope experience is my dancing. My advice to anyone who is curious or hesitant about doing Dance Marathon is simple: go and listen. Go to the event, have fun, dance if you want to and if you don’t, know that I’ll be standing in the back and you’re welcome to join me. Then, listen. As each family or hospital staffer speaks, take your knee and pay attention. You may see tears from the families and the students around you, but notice one thing that you won’t see: sorrow. Through all of the pain and heartbreak and flood of emotions, there is a persistent joy. As you kneel there listening, let that joy in and let it mix with the heartbreak. Be with the families and understand what it means to them that you are there, even if you never talk with them directly. If you get the chance though, chat with Libby and Ella and the other kids and Miracle Families; they’re pretty cool, and you might carry a little bit of their joy in your heart once you leave. I had a revelation tonight. I’ve always known I dance for something bigger, for something more than myself, but tonight when we raised $18,000 in one day and then broke $100,000, it hit me. I was writing a letter to my parents and I had this moment and I just knew why it was all worth it. This is what I wrote to them. To the people who raised me, who taught me right from wrong and how to love with my whole heart. And that’s just it. I had a great childhood. I laughed & lived & played & sang. I did it all. I was blessed with a great home and a wonderful family. But these children, these miracles, they didn’t have it as easy as I did. They have had to endure long hospital stays, countless pokes and surgeries and so much more. And their parents, well they had to deal with it too. With the medical bills, and the stays at the hospital, and the heartbreak of having a sick child. I dance because I get to experience the joy of life with these miracles. I dance because there is a child in a room at Helen DeVos holding on for life. I dance because these children, all children, are worth so much more then we will ever know. I dance so Libby and Ella can sing together. I dance so Riley-Jo can dance like no one is watching. I dance so BJ can take his annual selfie. I dance so Emerald can go ice skating. I dance so Hannah and Logan can be in a musical together. I dance so these children can live. I dance because frankly, it’s the least I can do. When I was asked to write a blog about our family’s experience with Devos I wasn’t too sure what I would write. I mean I was only there for about four visits to see the little guy. Therefore, I asked my sister-in-law and brother to describe their experiences first hand. But before this, I knew that Devos was such a great place and helped so many. However, I won’t lie to you when I heard that my brother and sister-in-law were going to be transferred to Devos, my first thought was, “ Oh crap, that’s definitely not good. That’s where the serious cases go.” A dumb thought I know, but the combination of fear of the unknowing and being 45 minutes away caused some worry. The most stressful thing was that we had my brother relaying the information from the doctors to the rest of the family, which wouldn’t have been that bad, but he is the world’s worst texter. Thus, the family had very spotty information about the whole thing, so the fear of unknowing was a constant over the 5 days they were at Devos. Despite the frustration, we knew that they would be in good hands. After lil Beau was born, the staff looked after him with such great care for the first few weeks in the NICU. Today he is at home sleeping A TON and cuddling with his favorite uncle (a.k.a. me). Our family will forever appreciate all the wonderful staff members located at Devos and all the miracles they perform. This is why I dance. Not only to get the chance to show off some of my great dance moves but to, in my own way, say thanks. Thanks to all the nurses and doctors as well as anyone who supports such a place. 11 years ago, we found out we were expecting and I was so excited. I was very sick throughout the whole pregnancy. In and out of the hospital. At 14 weeks, I was diagnosed with severe preeclampsia and HELLP syndrome which basically hit the major organs in the mother the only way to cure it is delivering the baby. I was admitted to the hospital at 14 weeks until my due date. At 22 1/2 weeks I was very sick and they needed to induce me. Our daughter Grace was born she was only 8 oz and was alive for 6 mins. 2 years later my husband and I went to the high-risk doctor to see if we could have another baby. I was told because it was so severe not to get pregnant because if I were I wouldn’t make it through pregnancy I would probably die. To our surprise, a year and a half later I found out I was pregnant. I called the high-risk doctor right away told them I was pregnant and I was going to die because that’s what I was told. I was so scared. Again, I started off very sick in and out of the hospital right away. I had hyperemesis, which basically is a pregnant woman throwing up multiple times. I threw up about 20-30 times a day. I lost 60 pounds at the beginning of my pregnancy. I had to have IV therapy at home for my nutrients because I couldn’t physically eat. At 20 weeks, I suffered two strokes while pregnant and I was put into the ICU. I had to learn how to walk, talk, eat again, and write. It was a very scary time, especially when you wanted to talk and couldn’t (God had a reason for this I think). Three weeks later I got very sick again, and was back in the hospital in such severe pain. That pain was my liver and kidneys failing, meaning the HELLP syndrome was back again. The only way to cure me was to deliver the baby. My doctor had my husband call my family so they could say their goodbyes to me. I was not supposed to make it out of there alive. They did an emergency C-section. Before they did the C-section, I had to have blood transfusions. They were afraid I was going to bleed out. I made it out alive!! On August 9, 2008, our beautiful daughter Riley-jo was born at 23 weeks 4 days. Weighing only 1 lb. 2 oz. only 10 inches long. She has been a fighter since the beginning. She spent 133 days in the NICU at Helen DeVos Children’s Hospital. We had many ups and downs. Riley-jo had many surgeries while she was in the NICU. She’s had a heart procedure when she was just 2 lbs., which is called patent ductus arteriosus PDA. She also has Retinopathy of prematurity (ROP) stage 3 which is a potentially blinding disorder she had 3 different eye surgeries. Riley also had NEC which is Necrotizing enterocolitis it’s a medical condition which is seen in premature babies where portions of the bowel undergo necrosis (tissue death). She had a section of her intestines removed. Riley also had Chronic Lung disease because she was born too soon, her lungs were underdeveloped. 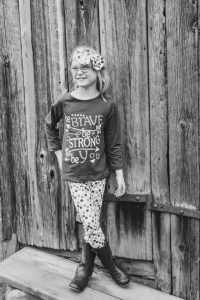 In 2011 Riley was hospitalized at Helen DeVos Children’s Hospital for pneumonia because her lungs are so weak she went down quickly. She was put in the ICU and we almost lost her. It was a very scary time in our life seeing her again back in the hospital. 4 years ago, Riley had a MRI the results weren’t what we were hoping. We found out our daughter had “pontocerebellar hypoplasia”. Which is a fatal brain disorder. The kiddos that have this disease can’t walk, talk, or even sit up on their own. That’s not our Riley who runs, skips, and hops, so we had genetic testing done, which came back negative. The neurologist still think it’s a mutated version of that disease. So, is it fatal for her? We do not know. We just keep on loving her daily and keeping her as happy as a little girl can be!! Riley-jo is delayed in a lot of areas such as her fine motor skills and she is non-verbal (God’s reason- I knew what it was like to not being able to speak I know what my daughter is going through daily). Hello friend!!! My name is Heidi Schaetzl and I’m a junior studying math elementary education. 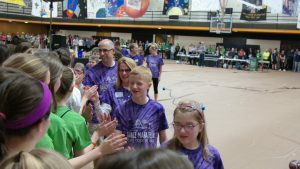 I hope to someday start a Dance Marathon program in the school where I teach, and someday to be a teacher in a children’s hospital for the kids who are there long term. I will drag every person I can into the wonderful world of Dance Marathon. No lie. Half my wardrobe is DM apparel and the half of the remaining clothes are ones I paint in, of course, for DM. I came into Dance Marathon by chance. A friend dragged me to the involvement fair and subsequently to the committee meeting following. And I fell in love. There is something inherently good about people who will willingly stand for hours on end for people they may not even know. I was determined to surround myself with as many of these people as possible. My first year was spectacular. Deprived of sleep because of finishing the decorations that week, I had four close friends with me at the marathon. I was a proud member of the trash committee and I was determined to take out every trash can before they overflowed. I was so focused on not falling asleep and doing my job that I didn’t get to spend time with the kids until the very end. After the big reveal, I found Emerald. As one of the older miracle children, she knew exactly how much hope we were bringing to kids like her. She and I sat together as people streamed around us and we cried and hugged and cried some more. 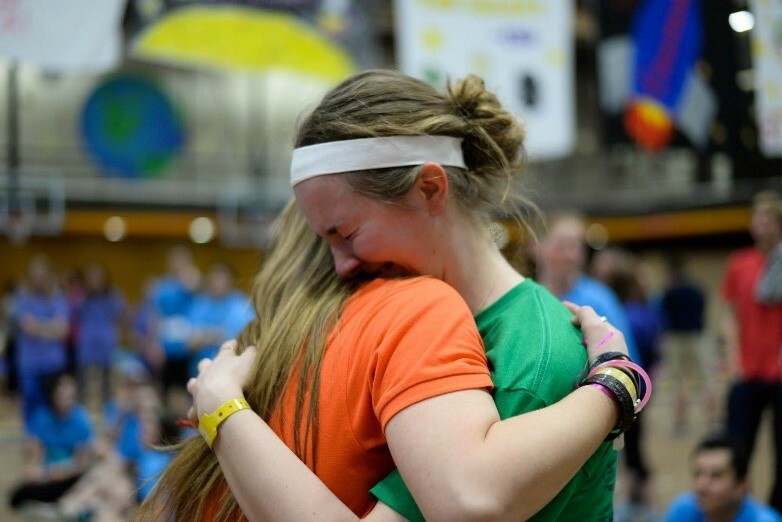 That was my first God moment relating to Dance Marathon, and I vowed it wouldn’t be my last. If my first year was spectacular, my second year was magical. I took initiative in my committee and built things all by myself. I made more friends, both on my committee and on other ones, and made an effort to fundraise more. 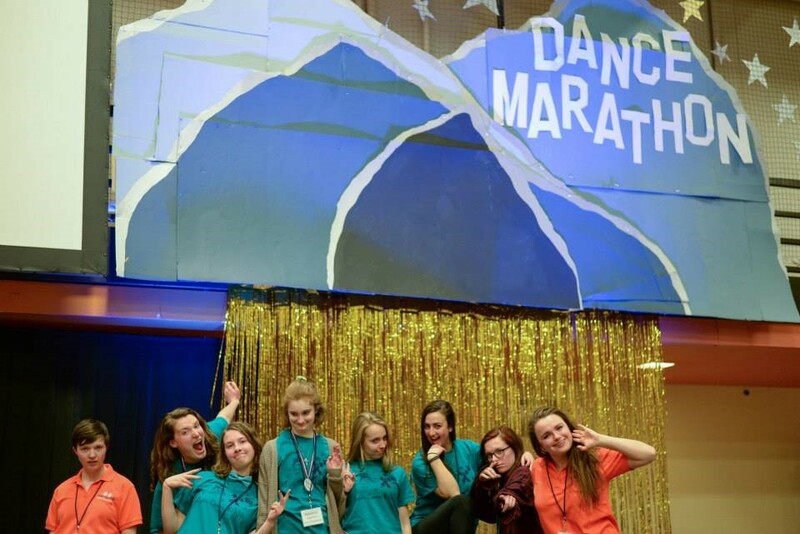 I stayed up late again the week of the marathon working on decorations, but those nights are some of my favorite memories of Dance Marathon, because I got to spend it with my committee leaders who have now graduated. During my time at the marathon, I was fortunate enough to introduce my family to it, showing them all the hard work I’d put into it and how it impacts those around me. At the end of the marathon, I found Emerald again and cried with her, and assured her I would apply for Dream Team and she hadn’t seen the last of me. Lucky for me, I received a place on the leadership committee to lead the committee I’d spent the last two years being a part of. Dream Team gives me the added bonus of getting to go to events with families, spending time with them. From having my own committee and leading it with my best friend, to getting to know the Schmidts on a personal level, this year looks like it will be the best year yet! I can’t wait to keep up the tradition of crying with Emerald after the marathon, and make more memories with Hannah and Logan, Jillian, Riley Jo, and so many more! Having a Dance Marathon family on campus and throughout the Holland area makes Hope really feel like home, and I can’t understand how it could get any better than this next year! This year, a close family friend was diagnosed with San Filippo Syndrome. It’s an incurable disease that is characterized by Fiona’s inability to produce an enzyme that helps her break down glycosaminoglycans which then build up in her cells. I grew up with Fiona and her family, and now they’re half a country away, and Fiona likely won’t live past fifteen. I’m lucky if I get to see her one last time before the disease takes her. Fiona is my personal reason why I dance. She is my family, and I’ll fight for her every hour of the marathon, even if she won’t be there with me. My journey with Dance Marathon started my Freshman year. I am someone who likes to be very involved and coming into college I was determined to sign up for everything, and well, I did. (No, seriously. I signed up for everything.) 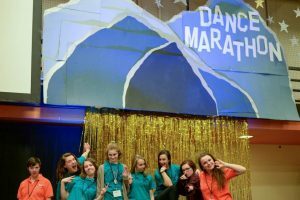 Dance Marathon just sounded like a dream to me. I hear “24-hour dance party” and I’m there. 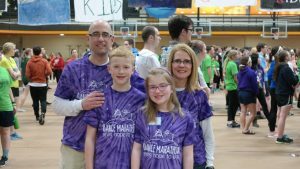 But there is so much more to Dance Marathon than just dancing and that caused me to miss the most important element to Dance Marathon – the kids. One of my professors once said, “Childhood cancer is a crime”. This is the most accurate description I have heard because he is absolutely right. A crime is described as evil, shameful, and wrong. Cancer robs kids of their childhood and steals the most vulnerable part of them; life. When I was given the incredible opportunity to be a part of Dream Team, I saw a completely different side of Dance Marathon. My lense shifted because of two little girls named Ella and Libby. Ella and Libby are two of the most joyful girls that I know. Joyful in the way they laugh. Joyful in the way they dance. Joyful in the way they sing. Joyful in the way they live. The exact opposite of crime is joy. Ella and Libby were given a 2% chance of survival because of a rare cancer of the eye that they were diagnosed with at birth. These girls experienced a brutal crime and were told they were not going to overcome it, but they both have. Each of the miracle kids and their families have impacted me in the most unique and beautiful way. 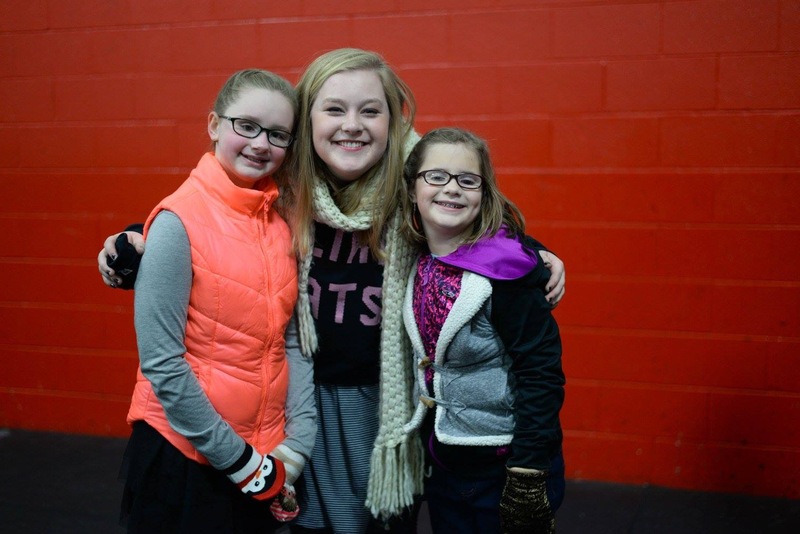 It is because of programs like Dance Marathon that Ella and Libby are experiencing joy. And it is because of them and so many others that we rally, fight, and dance. 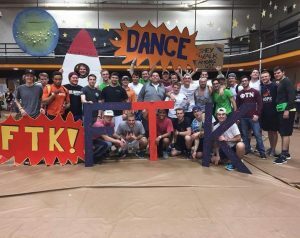 Hope College Dance Marathon has become more than something I signed up for as an eager Freshman – it has become a passion. The linear progression of my story throughout my time here at Hope has been the single most formative experience.There has never been a doubt in my mind that we can make a difference. And we will continue making a difference. We will continue to bring joy. Would I ever wish for our family (or any family) to go through what we did?…Absolutely not. Mia’s story started when she was 1.5 years old (2005). She was having trouble walking, frequently falling more than a typical toddler, eye movements, screaming and shaking when waking in the morning, and trembling hands. This all came on quite sudden and caused us to call her pediatrician. Mother’s intuition caused me to pack an overnight bag for us and make arrangements for her 4 year old brother. We were sent directly to the ER at DeVos from the pediatrician’s office, where we would spend the next 11 days. CT scans, MRIs, IVs, doctors, specialists, nurses, lab techs, interns, Child Life Specialists, all a part of our initial visit. I remember thinking that this surely wasn’t happening to our baby girl. Lots of prayer, support from our family and friends, and confidence in the place we were inhabiting for the time, helped us through it. Mia was diagoised with OMAS (Opsoclonus, Myoclonus, Ataxia Syndrome), an auto immune disease where her body was attacking her cerebellum. Coupled with that disease at times comes a Neuroblastoma Cancer Tumor, which DeVos went looking for and found in her left lower pelvis. It was resected through surgery and treatment was started for the OMAS. We were released and sent home with many appointments set up for future months of treatment. What a difference a few weeks make. 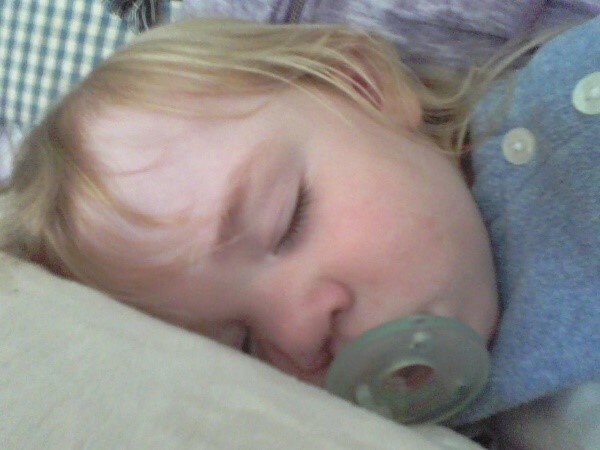 Mia was having rage attacks, trouble sleeping, and not the same sweet girl. As unfortunate as those 11 days were, we can’t say enough positive things about the care we received from the DeVos staff. They were so professional, comforting, and they treated us like we’d been friends forever, or even family. We’ve said from day 1, if you have to go to the hospital, it’s a great place to go. There’s no better place than DeVos, and we are so blessed it is so close to our home. The follow up appointments and treatments continued for the next 5 years. In the middle of that, when Mia was about 3.5 years old, she started having seizures. So our trips to DeVos increased and they were supporting us 100% of the way, doing everything they could to figure out what was wrong. The meds increased, our counter was a pharmacy, with Excel spreadsheets of her drug history and now extensive medical history. Two years of seizures that we couldn’t get under control with combinations of medications, led us to surgery at the Cleveland Clinic. DeVos didn’t perform this type of surgery in 2010, so they did everything they could to assist us in getting Mia the proper care elsewhere. 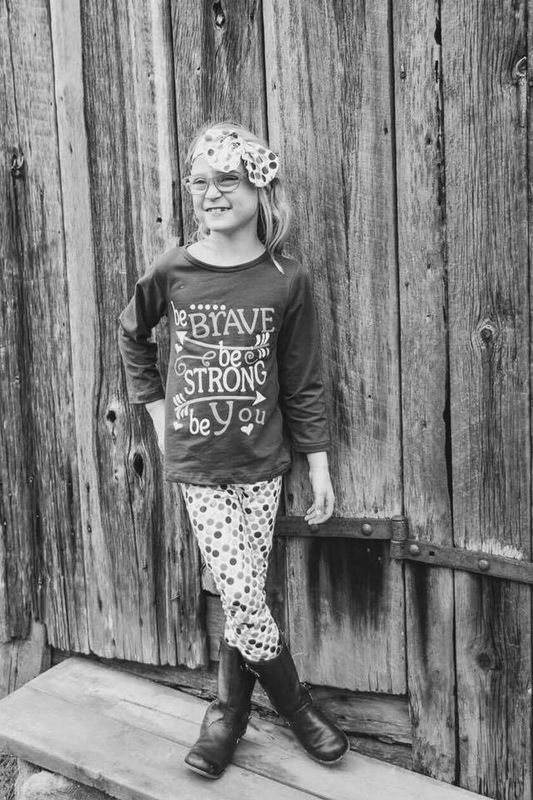 We are blessed and elated to report that 6 years later she is seizure free, in remission for the OMAS, and only goes to DeVos for annual checkups. In the midst of this, we were made aware of Dance Marathon about 4 years ago. And it is a highlight for Mia every year! She LOVES it! Her new college friends are who she wants to have over to the house to hang out! The activities that they have for Miracle families throughout the year, cannot be missed. The 24 hours of the marathon is a time that she can push aside her parents and have a blast. We are so grateful to all the students and supporters of this event. We’ve never been a part of a fundraiser that directly benefits something that was absolutely a blur to us while going through it, but now is ever so important. Thank you Dance Marathon and DeVos Children’s Hospital! Hello! My name is Seth Held and I am a junior studying public accounting here at Hope College. It wasn’t until my second semester freshmen year that I really started to learn about Dance Marathon. 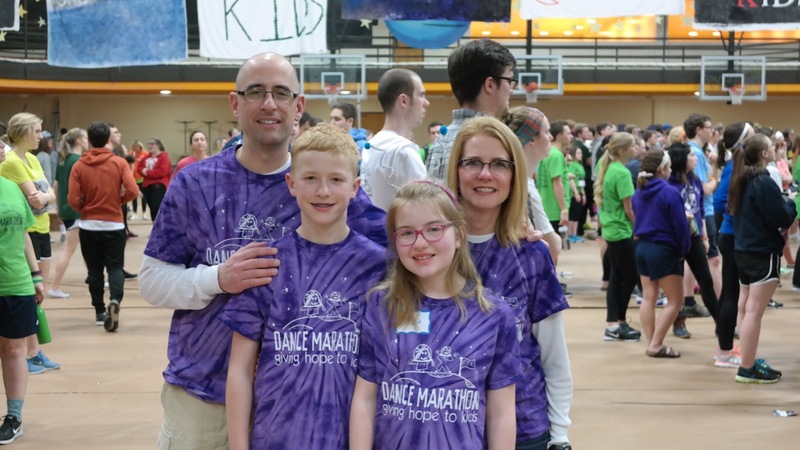 After witnessing the enormous and selfless support for both families and the Helen DeVos Children’s Hospital provided by Hope College Dance Marathon, I quickly realized I had to join the cause. As a son and close friend of people who have been affected by deadly diseases, I have learned that it takes a team to help take on the many different diseases. 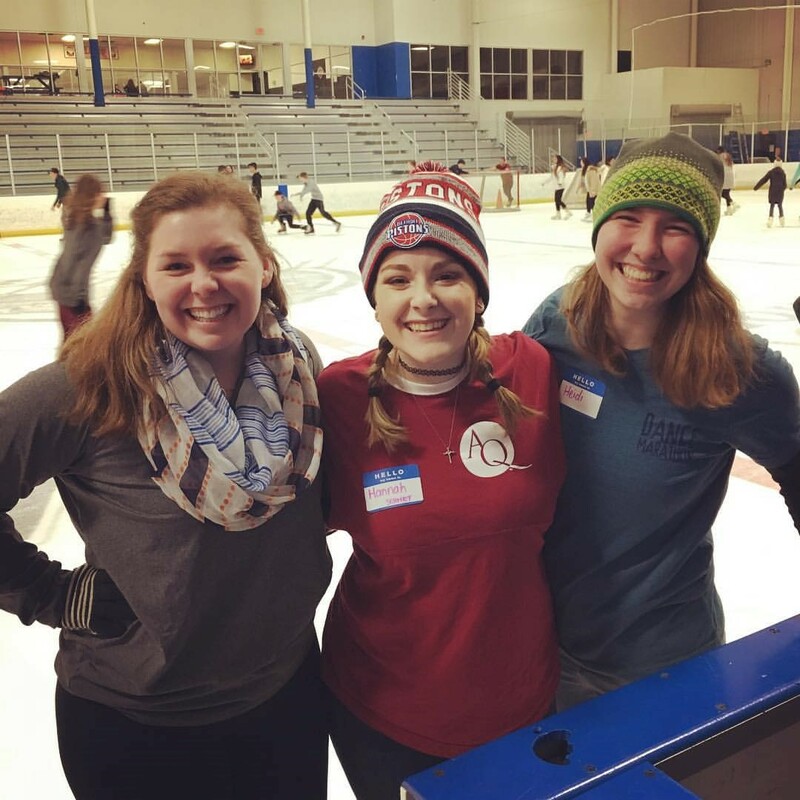 My Dance Marathon experience includes two years of dancing 24 hours, and this year I have been privileged with the opportunity to be one of two team captains of the Emersonian Fraternity. My goal is to dance the 24 hours all four years, following in the footsteps of some of those whose commitment to Dance Marathon I admire most. It will take a team to fight disease, and as Henry Ford succinctly stated, “If everyone is moving forward together, then success takes care of itself.” I could not be more excited to be a part of the Dance Marathon team as we accomplish even greater heights this year! “I just don’t like asking people for money.” The single thought suffocating our mind when we think about fundraising. But this thought only touches the surface of the one major dilemma holding us back. We struggle with one thing: what other people think about us. The good thing is that the fears of what people think about us and the possibility of rejection, which makes fundraising so frightening, is completely normal. We have to turn the fear into confidence. We have to come to the realization that our confidence does not lie in the wallets of those we ask, but God—the source of our support. We have to build a foundation for ourselves. The foundation starts with a goal and is the beginning of overcoming the fear of what other people think about you. Set a goal that will carry you out of your comfort zone—one you have to reach outside of your family to attain. Once you have set your goal, you have to search your heart and understand why you are so passionate for Dance Marathon. You have to be willing and able to open your heart, put it into words and share it at an elementary level with the individuals and groups of people you ask. After you have set your goal and searched your heart, you have to ASK. I know what you’re thinking; “I’ll send an email out and post on Facebook.” And you know as well as I do generic letters, emails, facebook posts, etc., do not bring the results you want. This is where the fear begins to seep in. You have to pick up the phone and call. Words on the computer screen do not express the tone of your heart and your passion for Dance Marathon like you have the opportunity to do over the phone or in-person. Set aside time to personalize every call. Give yourself a couple minutes to share where you are in life and hear where the individual, on the other end of the line, is in life—engage in a conversation. Let the conversation carry you into sharing your passion for Dance Marathon and transition into the ask. If you don’t ask, you don’t give them the opportunity or invitation to give. If they come back and ask how much, don’t shoot yourself in the foot by aiming too low; aim high and they will give what they can. The last two parts of fundraising, I would say, are the most important—the follow-up and the thank-you. If an individual did not give you a straight answer or said they would donate, send them a follow-up call or a personalized email two weeks after the initial call; don’t be pushy, but send it as a reminder. It’s not on their mind 24/7 like it is on yours. After Dance Marathon wraps up, take your time to send a handwritten, personalized letter and picture of yourself from the marathon to each individual that donated for you. It will give them a better understanding as to what they gave money towards, it allows them to get a glimpse into your passion for Dance Marathon, and it will increase their chances of giving again to Dance Marathon or another Fundraiser you are a part of. Fundraising is not really about the money, but the people, THE KIDS.